As you may have heard, taken regularly, McDonald’s generally isn’t very good for your health, which is why it’s so odd that many hospitals around the United States have one on campus or very close-by. Fortunately for patients who actually want to be healthy, several of these hospitals, such as the Truman Medical Center in Kansas City, are reportedly scrapping their fast food wings. This is great, and somehow reminds me that there are still people like my Dad who will sneak ribeye steaks into hospital rooms to give to family members after surgery. Lurie Children’s Hospital in Chicago also ditched the McDonald’s at its new location, along with Kosair Children’s Hospital in Louisville, Ky., which will not be renewing the fast food joint’s lease when it expires in four years. 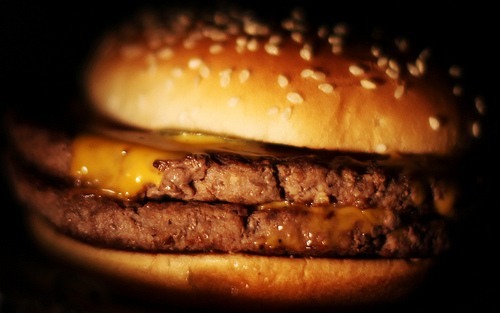 This could prove to be not so good for McDonald’s as more and more Americans, or at least hospitals and other establishments, begin bringing a bit of awareness to the health and environmental concerns associated with artery-clogging fast food. I’m sure something like this isn’t going to make much of a difference in people’s diets – the hospital closest to me has 3 fried chicken joints within a mile – but this could also be an opportunity for healthier local restaurants, such as a raw juice bar, to occupy the vacant space McDonald’s left behind next to the cafeteria. What restaurant do you think should replace fast food joints in hospitals?